Historically; the site was home to the Trinity College Botanic Gardens, located here for more than 150 years. 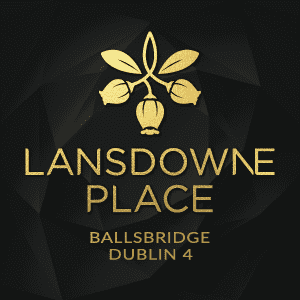 A new phase of ten luxurious two-bedroom apartments at Lansdowne Place in Ballsbridge have just been released for sale by joint agents Sherry FitzGerald and Savills. 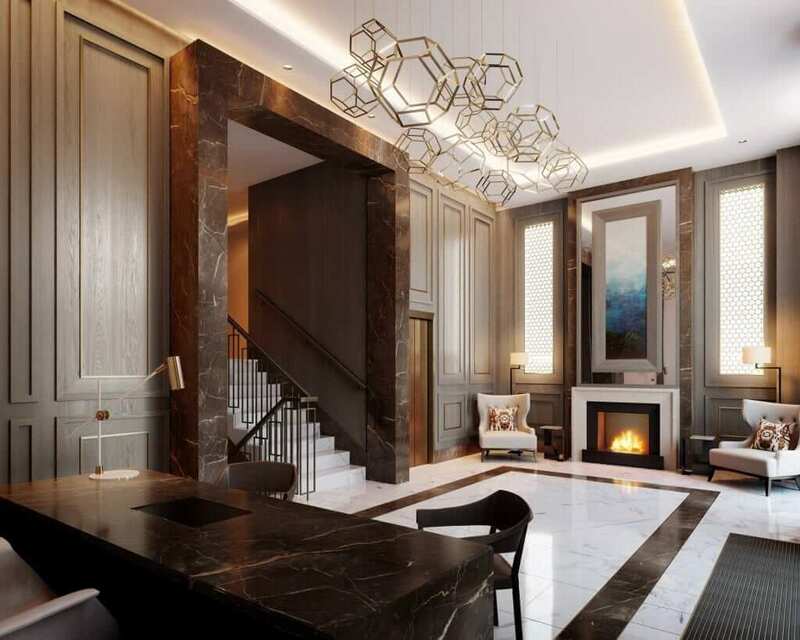 Located in the Hutchins – named after Ireland’s first female botanist, Ellen Hutchins – the units, the first in this opulent scheme to front directly onto Shelbourne Road, are opposite the traditional redbrick houses that Dublin 4 is so well known for. 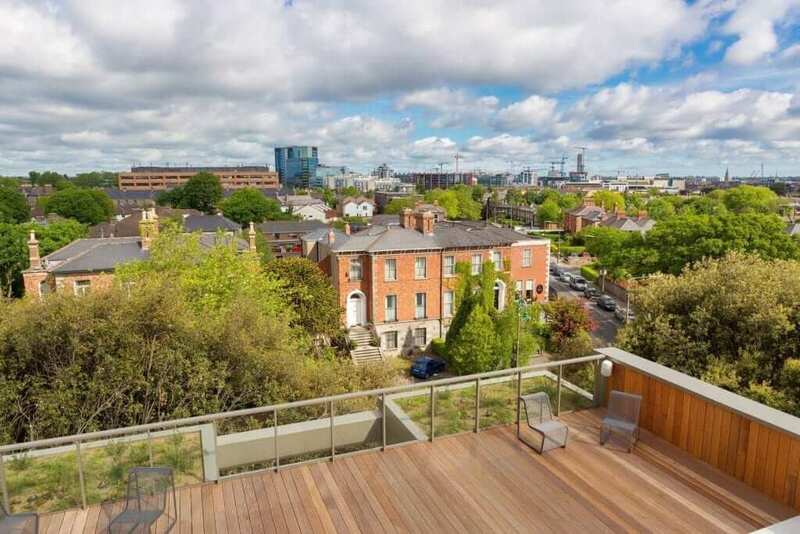 The upscale, dual-aspect apartments face both east and west, with views of the Aviva Stadium. The units are situated on five floors within the building and apartments on higher levels have views of Dublin Bay. They offer between 111.5 and 125 square metres of well-considered living space and are priced from €975, 000. The product of a vision held by Chartered Land chairman Joe O’Reilly, whose previous projects include Dundrum Town Centre, the Board Gáis Energy Theatre and Grand Canal Square, Lansdowne Place comprises seven residential pavilion-style buildings built on the site of the former Berkeley Court (Clyde Court) Hotel on the corner of Shelbourne Road ad Lansdowne Road. Historically, the site was home to the Trinity College Botanic Gardens, located here for more than 150 years. Listed specimen trees remain dotted along the boundary of the site and were carefully integrated into the new scheme’s landscaped gardens, design by landscape architect, Bernard Seymore. The seven buildings currently under construction were designed by O’Mahony Pike Architects and are named with reference to the botanists linked to the gardens on which they site. The units in the impressive marketing suite were dressed by London-based interior architects Goddard LIttlefair in conjunction with the architects. In all, there are 217 units of varying sizes, from one-bedroom apartments to four-bedroom penthouses. 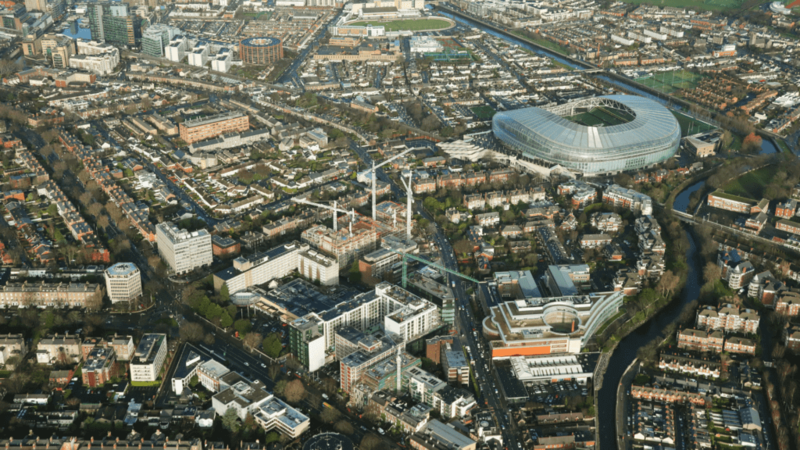 So far, three phases of apartments have been released for sale at the scheme and more than 60 per cent, or €100 million worth, have been sold to date, proving a strong market for high-end residences in the heart of Dublin 4. The scheme also includes impressive residents’’ amenities which span some 605 square metres over two floors. They include a lounge, library, meeting room, cinema and hospitality space and will be managed by a 24-hour concierge and management team including maintenance, security and guest relations. Salubrious on-site amenities also include a gym, sauna, steam room and treatment rooms. Viewings at Lansdowne Place are by appointment.